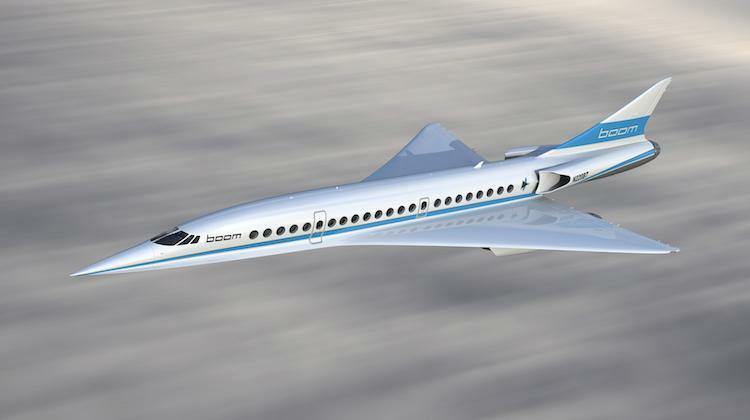 Japan Airlines (JAL) has signalled its interest in supersonic flight through a partnership with Boom Supersonic. The Japanese flag carrier said on Tuesday it would invest US$10 million in Boom and hold options to purchase up to 20 supersonic aircraft. Further, there would also be collaboration between the pair to “refine the aircraft design and help define the passenger experience for supersonic travel”. “We are very proud to be working with Boom on the advancement in the commercial aviation industry,” Japan Airlines president Yoshiharu Ueki said in a joint statement. Privately-held Boom, based in Denver in the United States, is developing a supersonic tri-jet with a range of 4,500nm capable of reaching speeds of Mach 2.2, meaning a flight between New York and London would take about three hours and 15 minutes. A flight between Sydney and Los Angeles would take seven hours, which includes the time required for a refuelling stop enroute. The company has said previously it expected fares to be similar to what is offered for business class travel currently. Entry into service for the aircraft, which could seat up to 55 passengers in a business class configuration, was forecast for the mid-2020s. A demonstrator aircraft, dubbed Baby Boom or XB-1, was due to fly for the first time in late 2018. Japan Airlines is the second company to have publicly announced it was holding options in the supersonic jet. Virgin Group, a part owner of Virgin Atlantic, holds options for 10 aircraft. There are also options for 46 more aircraft from unidentified customers. Boom founder and chief executive Blake Scholl said the strategic partnership with Japan Airlines came after a year working together behind the scenes. “JAL’s passionate, visionary team offers decades of practical knowledge and wisdom on everything from the passenger experience to technical operations,” Scholl said. “We’re thrilled to be working with JAL to develop a reliable, easily-maintained aircraft that will provide revolutionary speed to passengers. Boom would be the first passenger jet since the retirement of the Concord in October 2003. Scholl said on a blog post on the company’s website Japan Airlines was the “first airline in history to make a material financial commitment to a faster future”, noting the pre-orders for the Concord held no financial commitment. I simply don’t believe the economics of supersonic travel. Even at the projected cost of around half the cost of a Concorde ticket, it’s still ludicrously expensive. And as far as I know the aircraft doesn’t have the range to do a trans-Pacific flight so where is JAL going to operate them? Unless China and Russia will allow supersonic flight over land. Supersonic flight is a real niche. Best used on high business routes. Around Japan could be a good thing, but you wouldn’t have 6 flights a day with them. London to New York, Paris to New York etc, they’re still perfect routes, but you’d have maybe 2 flights per day with them. 4500nm is Tokyo to San Fran, Seattle, Vancouver, Honolulu, Dubai, Melbourne, practically all of Asia. Another 500nm and you reach Euro/London. Also, projected cost states existing business class. 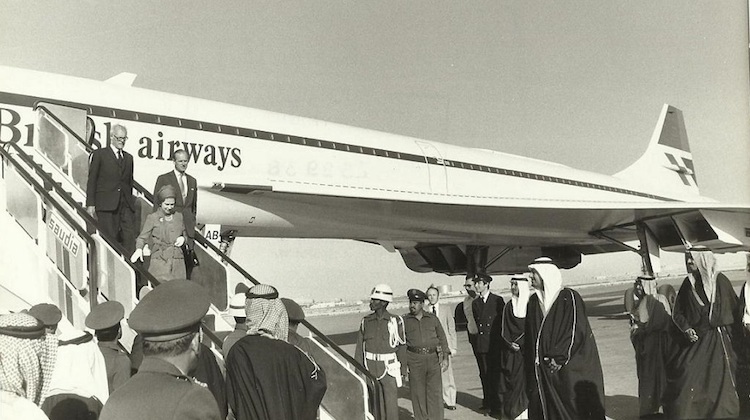 Only issues holding back supersonic flights are noise/regulations and oil prices. Calling the aircraft boom is poor marketing, it reminds us of the 1950s air shows where the sonic boom was a novelty and the odd broken window a demonstration of the energy. The reality is that military aircraft fly supersonic and nobody notices, the same can apply to civil aircraft.. The military only flies supersonic over open water or deserts, not over populated land. So SYD-MEL is out. Besides it’s too short to make it economically viable. Japan is different. It faces the Pacific Ocean and is up near the North Pole, so its options for supersonic business travel are vast. Ben, you are missing the point about passengers. According to Boom, airlines make their money from business class – the front end of the plane and not from down the back in cattle class. Boom say the supersonic price of a ticket will be the same as a subsonic business class ticket. & big jets carry 45 business class passengers every day. The law against overland supersonic flight was the result of a yahoo USAF pilot who pulled a dangerous show-off stunt over the aerodrome. That law should be changed to allow overland supersonic flight above 10,000ft and with increased separation minima for other aircraft. IF the performance claims made by Boom are correct (and they do sound entirely plausible), then this aircraft should be very successful for flights between major commercial cities of the world; population >5million. However, Australia being a somewhat unique continent – with 96% of population crammed into a few coastal cities separated by thousands of km, and very isolated from other nations – may also benefit from Boom flights between cities >1million population and >1000km apart.